I don’t really like the way lotion feels on my skin: like a sticky film just waiting to soak into my clothes. 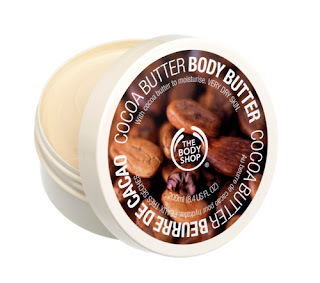 The Body Shop’s Cocoa Body Butter doesn’t do that. It soaks in right away, doesn’t make my hands greasy and hints of hot-cocoa comfort. Oh, and it leaves my body soft to the touch—always a plus.